Day two started with a leisurely breakfast in my room. The nice part about staying at the Ocean Club is that they have full kitchens. 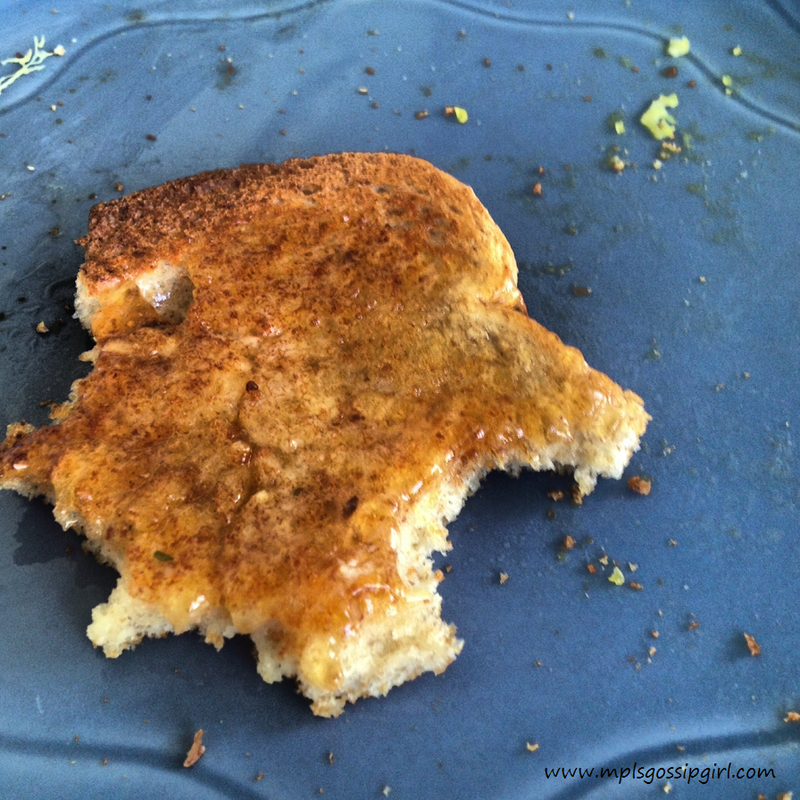 I sat on the patio and enjoyed the perfect weather when eating my toast with guava jelly. 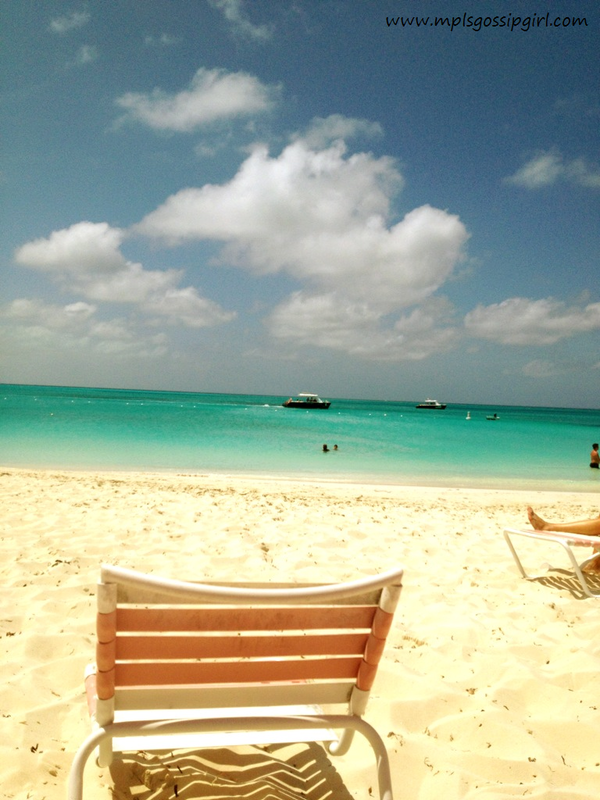 It is important when you plan a vacation to Turks and Caicos to not over schedule yourself. It is nice to be able to do whatever you feel like on that particular day. I only did two planned activities and had three restaurant reservations and thought it was the perfect amount for a 7 day vacation. If you are going during Spring Break you may want to make more restaurant reservations since it gets very busy on the island. I then set off to get some booze for the week. 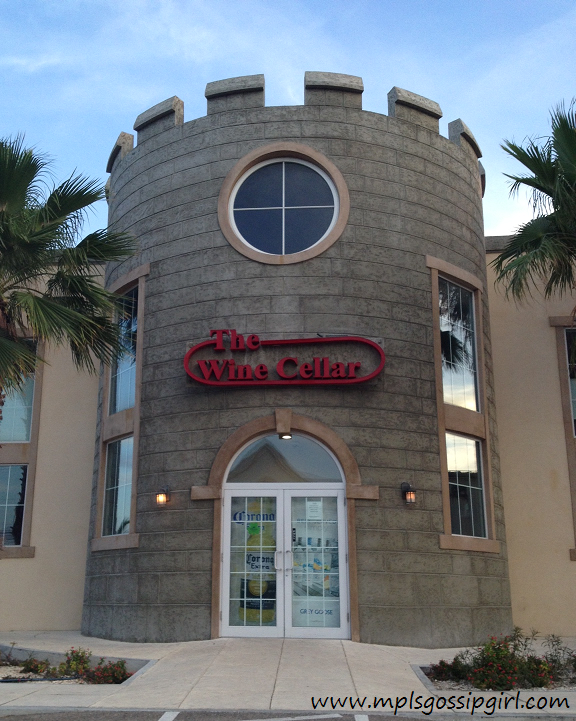 I headed to the Wine Cellar which is by the IGA on the highway and looks like a castle. They are open from 9am-6pm and not on Sundays. I leave Minnesota and still can’t buy liquor on Sundays. 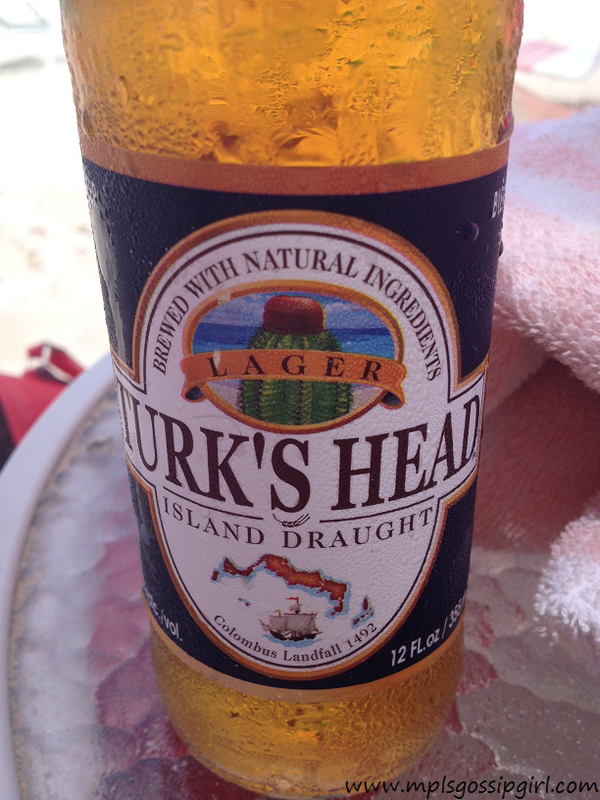 I choose Turks Head Lager a local beer made on the island and white wine. The Turks Head was $41.99 for a case and the wine was comparable to what it costs me in Minneapolis. It felt amazing to be able to sit in a lounge chair, drink a beer, and read a book. Most of my day was spent at the beach on a floatie. You can get them at Target for $4.00 before you go and I highly recommend it. Remember to put on sun screen and a lot of it, reapply every so often. I was enjoying the beach so much that I ate a late lunch at the Cabana Bar again. I had the ocean burger which is a fish sandwich slathered with a great tartar sauce. The Cabana Bar is a very relaxing place to lunch and the drinks and service are great. The service I had was great and the drinks are good as well. 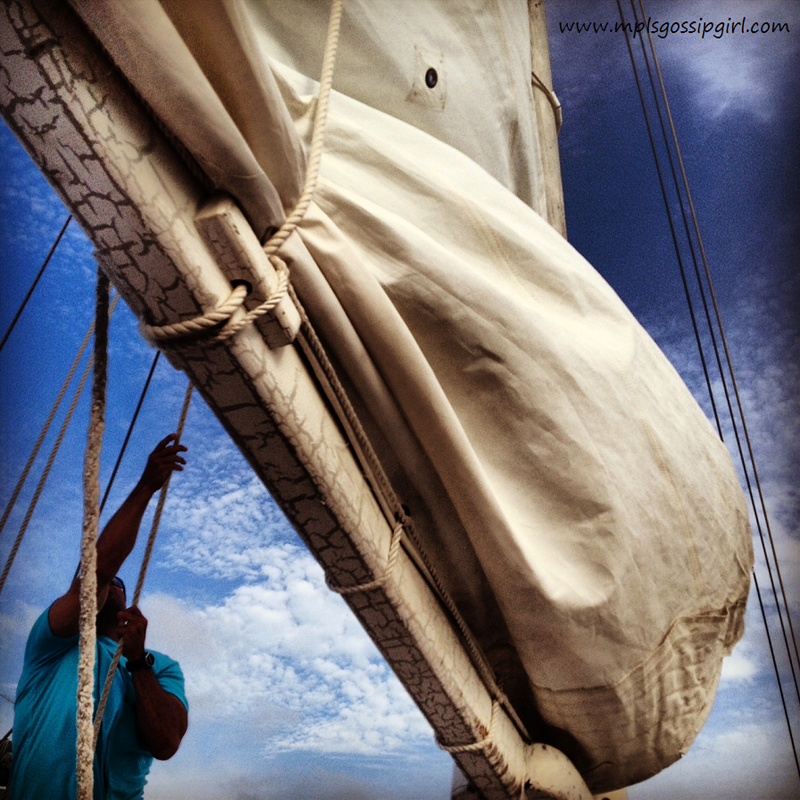 That night I planned a sailing trip with Sun Charters. 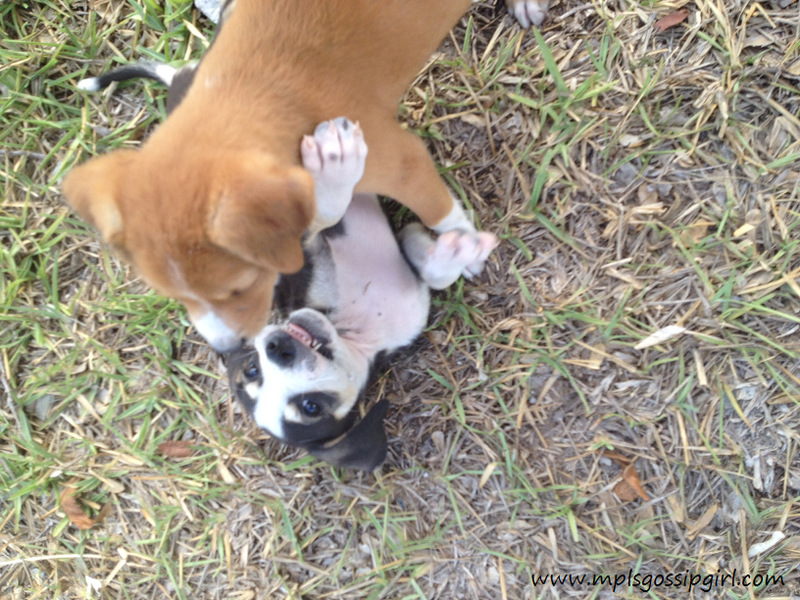 Before the trip, we ran into some Potcakes which are the local dogs on Turks and Caicos. They are called Potcakes because they were fed the caked on food that was leftover from the cooking pot. You can adopt a Potcake or help by donating or being a courier. There is also the Potcake Place located in the Saltmills shopping area where you can get more information. After playing with the potcakes, I set out on the sunset cruise. It was relaxing and a great way to meet other people staying on the island. 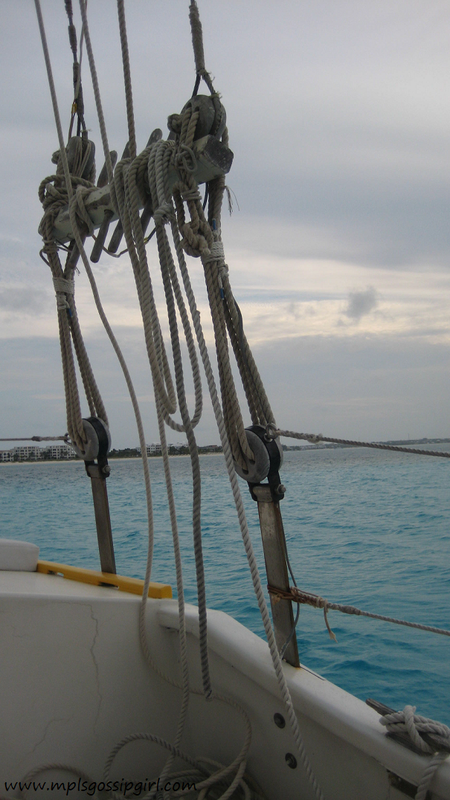 Junior kept the rum punch flowing and we sailed down Grace Bay beach and back. 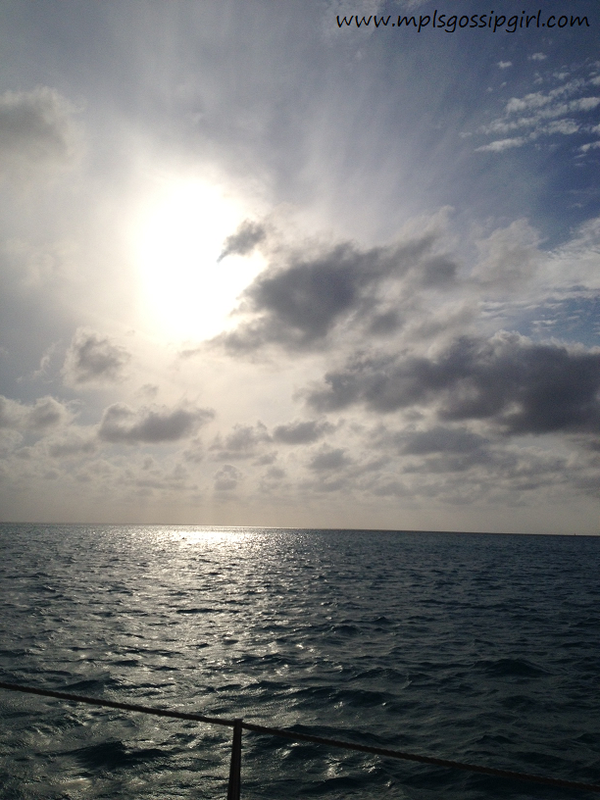 I would highly recommend going sailing with Sun Charters. Sun Charters would be a perfect boat to book for a sea bound wedding or for a family get together. I have heard that both weddings and family reunions are popular on the island due to the fact that there are many large rental properties. The owner of Sun Charters was very nice and seemed like he would be willing to accommodate a customizeable charter. It was past dinner time but I was hungry and headed to The Upstairs which is in a little shopping mall near the main part of Grace Bay. I had a delicious dinner and met Kenny who grows “tomatoes” and you know other things that grow in the ground. The service was excellent and the food was good. 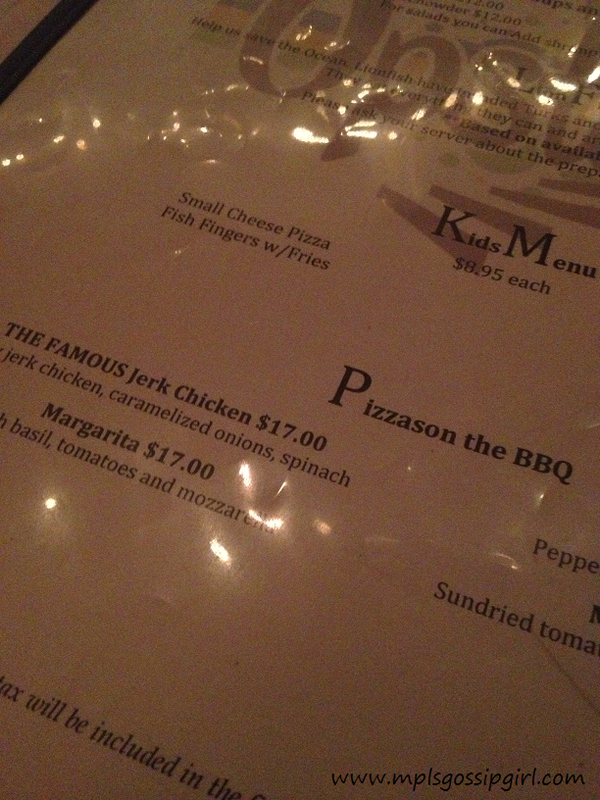 I tried the jerk chicken pizza and wrap. I would highly recommend The Upstairs during the first part of your stay. The portions are large and make great leftovers. If you are used to sleeping in the city. You will sleep like a baby when you are here. because keep the rum punch flowing.